The coal price is through the roof. Karan Adani debuted on Indian television this week saying the Carmichael coal project was close to financial close. It put the frighteners on the millions of people around the world who do not want this project to get up. Yet, Adani Australia just saw off one-third of its staff. So many false dawns. Will it or won’t it? Energy analyst Tim Buckley of the Institute for Energy Economics and Financial Analysis (IEEFA) sums up the prospects for the world’s biggest new thermal coal project actually, finally, proceeding. The Adani Group’s near decade-long attempts to build an integrated “pit-to-plug” export thermal coal mine in the Queensland’s Galilee Basin, to supply its 4.6 gigawatt (GW) Mundra import coal fired power plant remains at risk of being a stranded asset. However, Adani Ports chief executive Karan Adani’s comments this week highlight that Carmichael is by no means dead and buried. 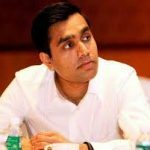 It is important to remember that the Adani Group is one of the most powerful conglomerates in India, and the group has never been more powerful than in 2018. 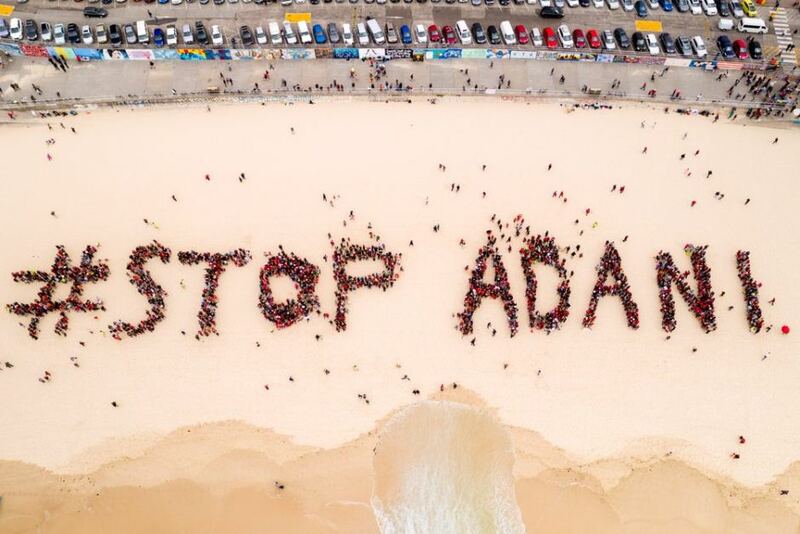 As such, when the Adani Group says they remain 100 per cent committed to the Carmichael proposal, IEEFA would be the first to say Australians should never underestimate the power and financial leverage which Adani could bring to bear to prove its skeptics wrong, particularly at a time when Australian government support is unwaveringly in favour of subsidised new coal projects, and the thermal coal export price is hitting six year highs of $US110-120/t. So where is Adani really at and where might they be heading with their Australian Carmichael coal mine project? IEEFA forecasts India’s economic growth is set to run at up 7-8% annually for the next decade. With India accelerating its electricity system transformation to pursue 40 GW annually of new, low cost renewable energy installations for the next decade, imported coal is now clearly the most expensive, polluting and least-favoured solution to help relieve energy poverty for Indians. On the surface, things aren’t looking too good for Adani’s Carmichael mine. In June 2018, we saw press reporting Adani’s Carmichael assigned staff were cut by a third. This follows AECOM walking away in May, suggesting Adani is continuing to find it hard to reach financial close. 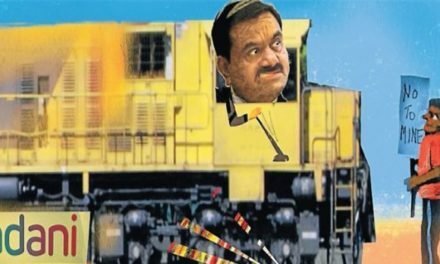 Just over a year ago the Adani Group announced it had hit the green button to proceed with its long-delayed, several times downsized $5 billion coal and rail project proposal. Building a new 392k railway line was to facilitate the first stage of a 27 million tonne per annum (Mtpa) low quality thermal coal export mine, using Adani’s existing 50Mtpa coal export facility at Abbot Point. This port continues to run at just 55 per cent utilisation, leaving spare port capacity should the Carmichael coal ever come to market. A year ago Adani Power Ltd announced that their nearly new US$5 billion, 4.6 GW 100 per cent import coal fired power plant at Mundra was unviable. Mundra has spent most of 2018 to-date idle and it has been widely reported that Adani Power is considering bankruptcy protection for this plant as the Reserve Bank of India attempts to resolve stranded assets. In July 2018 a former Supreme Court Judge was appointed to try to resolve this quagmire. IEEFA has explored alternative destinations for the Carmichael coal, such as Adani Power’s proposed 1.6GW Godda power plant for re-export of expensive electricity, locking in energy poverty for Bangladeshis. However, with the financial distress at Adani Power, funding for Godda remains elusive. 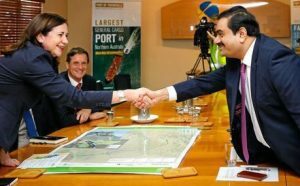 Regardless, the Adani Group continues to enjoy benefits flowing from powerful political backers in Australia keen to see the Carmichael project succeed. The Adani Group has a very strong alignment with some in the Australian government, who continue to talk up prospects for massive government subsidies to get the Carmichael proposal to financial close. Energy Minister Josh Frydenberg is due to rule on giving Carmichael free access to a much enlarged allocation of 12.5 billion litres of water annually, all while Queensland and NSW are in extreme drought. Queensland MP George Christensen recently proposed that the Australian Rail and Track Corp (ARTC) use taxpayer funds to build a subsidised rail line for Adani, arguing government ownership would help open up some or all of the ten mega-coal mines proposed for the Galilee Basin, with a combined output of over 300Mtpa – more than Australia’s entire thermal coal exports in 2017. In IEEFA’s view this would inevitably flooding the seaborne coal market with new supply, permanently damaging Australia’s coal export value. In addition to almost unlimited, free water for Adani, the state government has promised a seven-year royalty holiday subsidy, a gift that would see hundreds of millions of dollars from Queensland taxpayers flow to a foreign tax-haven based billionaire. The Carmichael project is also eligible to access the diesel fuel rebate Australia gifts to all resource firms, likewise worth hundreds of millions of dollars of taxpayer funded generosity for a mine that would help ensure the world fails in its collective mission to limit the worst impacts of climate change. The idea that Prime Minister Malcolm Turnbull’s Australian government is living up to its international treaty obligations on climate change is farcical. Meanwhile, in addition to the 65 MW Rugby Run solar project in Queensland, Adani has a second solar project at Whyalla in South Australia which is now approaching financial close, part of a stated long term Adani plan to build 1.5 GW of solar across Australia. 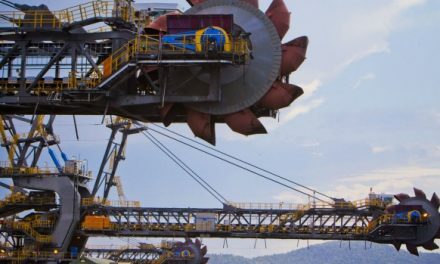 So, eight years on from the initial acquisition, and having invested upwards of $1.3 billion, why is Adani’s Carmichael proposal unable to reach financial close? A key reason is the ongoing objections from the Traditional Owners, the Wangan and Jagalingou people, who have repeatedly refused to sign an Indigenous Land Use Agreement (ILUA) with Adani. Adani’s claims that they have a legitimate ILUA have been repeatedly challenged in court, and this is set to continue for some time yet. Adani has obtained its leases through a legal override after the Traditional Owners refused to consent. Adani continues to pressure the Queensland government to extinguish the Traditional Owners’ land rights and transfer the freehold land title to Adani. This is being resisted vigorously by the leadership of the Traditional Owners’ Council. Adani has been embroiled in controversy for many years for interfering with Indigenous peoples’ rights, overturning the decisions of the Wangan and Jagalingou Traditional Owners to reject the mine, and failing to achieve their free, prior and informed consent consistent with international laws and conventions. Absent unambiguous Traditional Owner consent, in IEEFA’s view global financial institutions are extremely unlikely to provide financial support for this project, with most of the world’s largest financial institutions having signed up to the Equator Principles that aim to safeguard Traditional Owner rights. Adani’s failure to secure Traditional Owner support took another major backward step in May 2018, when the Federal Court found that Adani paid over $2 million cash for wrongly authorised cultural heritage assessments for the Juru people at Abbot Point. Reports include allegations of “secret payments by Adani” and the Juru representatives have now applied to the Queensland Government for a stop work order. This further undermines potential investor confidence in the Carmichael proposal, making financial close difficult while such issues remain unresolved. When Adani tried but failed to secure Chinese government entity funding support in December 2017, many thought the Adani Group would walk away from the Carmichael project. With Carmichael’s official opening ceremony of October 2017 indefinitely postponed, international investors are increasingly wary of Adani Enterprises continuing to invest in this stranded asset, particularly with the Indian Government’s ambitious targets for renewable energy to replace the current reliance on expensive imported coal. No new thermal coal mines is a strategy entirely consistent with Australia’s national interest. We need a political stop to this project, and one of the biggest obstacles has been that many politicians just don’t think they have to do anything about the Carmichael project. Bottom line: Adani is committed and capable of getting its project up in-house, despite all the obvious hurdles for external finance. Tim Buckley has written a number of reports for IEEFA on the Adani project. He is Australia’s foremost expert in Indian energy. It is worth following Tim on Twitter @TimBuckleyIEEFA if you would like to keep up with the latest in Adani, global energy markets and the remarkable revolution in renewables. Editor’s note: For five years, we have written the Adani project will never proceed and still maintain this view. As the coal price slumped, it was simply not viable financially. At present spot prices however, as put by Tim, and with Gautam Adani struggling to feed his Indian power plants with low-priced coal, the case is more compelling now; financially at least. environmental destruction and trenchant opposition from environment groups.